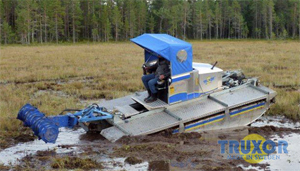 Truxor 5000 – the new generation multi functional amphibious machine. The Kubota 29hp diesel engine together with the load sensitive hydraulic system make operating the Truxor 5000 easy, giving finger tip control of the steering and tool function. The right joystick controls the operation of the tools together with the load distribution. The left hand joystick controls the cutters and steering. 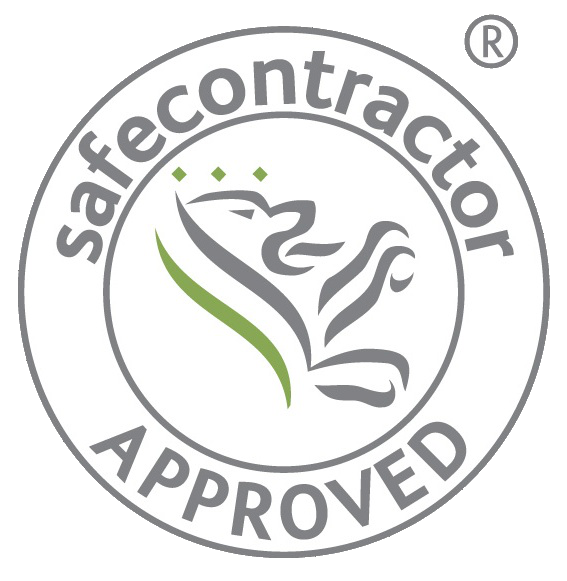 Operations requiring low speed and added traction can be regulated using an adjuster switch on the instrument panel. The high output hydraulic system makes silt pumping, excavation and oil spill clean up more efficient delivering power to where it is needed. 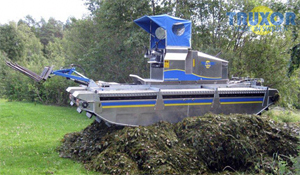 The Truxor is delivered with eco-friendly biodegradable hydraulic oil (PANOLIN) or standard ISO WG 46 oil. Left Joystick: For driving the machine. Hydraulic outlet 1 – working pressure 140 bar, adjustable flow 0 - 25 L/min. Hydraulic outlet 2 - working pressure 130 bar, flow 16 L/min. Driver's cab: Ergonomic design, adjustable driver's seat with electrically heated chair, collapsible cab, adjustable control lever, instrument panel with revolutions, motor temperature, control lights, hydraulic oil temperature, hydraulic pressure and fuel gauge. 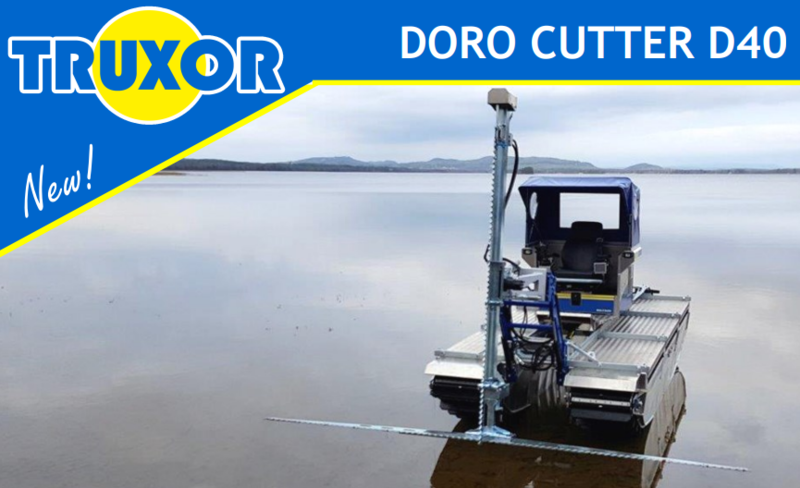 Material: Pontoon made of saltwater resistant aluminium. Hot-dip galvanized steel construction.